Court overturns Senator Ovie Omo-Agege’s suspension by Senate – Royal Times of Nigeria. 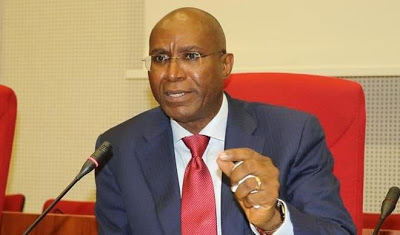 A Federal High Court sitting in Abuja on Thursday nullified the suspension of Senator Ovie Omo-Agege from the Senate for 90 legislative days. Omo-Agege had gone to court to seek redress wherein he filed a suit marked FHC/ABJ/CS/314/2018, against the Senate (1st defendant), the Senate President (2nd defendant), and the Attorney General of the Federation (3rd), challenging his suspension from the Senate, saying it was illegal. Delivering judgement on the suit, the presiding judge, Justice Nnamdi held that the suspension of the Senator during the pendency of the suit was unconstitutional and an affront on the judiciary. He held that the decision of the Senate to suspend Omo-Agege for instituting the suit was a clear breach of Section 4(8) and 6(6b) of the 1999 Constitution of the Federal Republic of Nigeria, as amended. He said, “Access to court is a constitutional right that cannot be taken away from. Judiciary is the hope of the common man and access to court is one of the key indicators of democracy and rule of law”. “This court is minded to say that the reason for the suspension of the plaintiff by the 1st and 2nd defendants was unconstitutional,”. Though the court refused prayers one to seven of the plaintiff, however, it relied on the 8th relief which had sought for any other order as may be deemed by the court. Having nullified Omo-Agege’s suspension, Justice Nnamdi ordered the senate to pay the plaintiff all his salaries and allowances.